Many of you probably know Leonard Nimoy as the highly logical and unemotional Mr. Spock from Star Trek. However, you may not know that Leonard Nimoy is a most capable singer and poet in his own right. 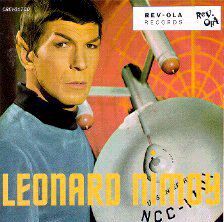 In fact, Leonard Nimoy's vocal and poetic abilities are two of the best kept secrets in the entertainment industry. 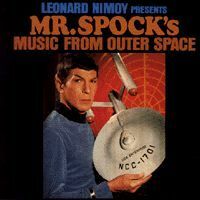 Mr. Nimoy's beautiful renditions of heartfelt ballads like "Gentle on My Mind" and "If I Were a Carpenter" can instantly mellow the most nervous among us. But when Nimoy's vocal chords caress his own subtle poetry, his work instantly becomes hardhitting, insightful, and damn funny too. That's the wonder of Nimoy: if he fails to seduce your heart with one approach, he is forever coming back at you unabashed, enticing you with yet another of his talents. And when it comes to a desire to please, even the most jaded must acknowledge Mr. Nimoy's gift, despite those rare moments when the inscrutable Nimoy ear falters. For those who have not had the opportunity to experience the treasure that is Mr. Nimoy's poetry and music, his currently available recordings and publications are listed below. A unique treat awaits you, and I envy you with my entire being. If you're at all like myself, your heart will cry out, "How could I have overlooked this virtuoso until now?" D edicated to getting Leonard Nimoy from Star Trek to eat more salsa. Exploring his role as the narrator of "In Search Of." Questionable covers of rock and pop songsby celebrities, including Leonard Nimoy. Other pieces by Mike Walsh.